It’s that time of the year, when everyone returns to school and eases back into a routine. It’s also the time of the year when students have to leave their full-time summer jobs, taking a big decrease in salary for a part-time job or no job at all. We all know this pain, so while you’re getting used to school you also have to get used to spending a lot less money on having fun. It’s still possible to go out on a budget while you’re in school, but it’s much harder than when you had a seemingly endless cash flow, no classes to pay for, and a paid-off credit card. While we all had fun splurging on summer concerts, going out a little too much, and spending more on food than we thought we had, it’s time to get back to budgeting. Whether that means pulling out an Excel spreadsheet to keep track of spending or generally cutting back, you still deserve to have fun, and you can with these tips and tricks. Calgary has a lot to offer in terms of budget-friendly things to do, anywhere from regular discounts to completely free, depending on what you’re looking for. Wednesday’s if you’re a vegetarian, but you can definitely enjoy a veggie taco. 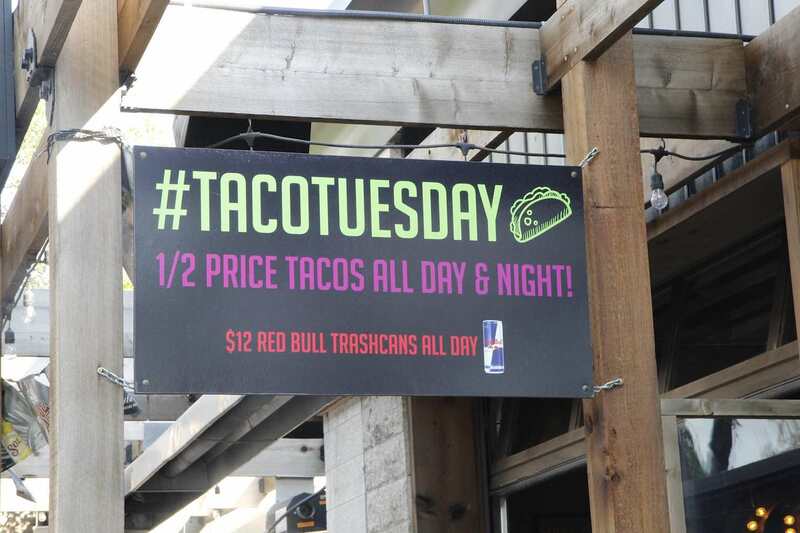 Native Tongues has $2.50 tacos, Anejo has half priced tacos, and Salt & Pepper has all you can eat tacos for $13.95. The weekly deals don’t stop there though, and neither does the alliteration. Any good pub knows to fill a venue in the middle of the week, you need to have a really good deal. For most pubs, that deal is a discount on wings. At Jamesons, wings are 45 cents. The Pint has 40 cent wings, with 40 different flavours to choose from. Basically any pub has this special on, with the exception of a few who choose different days of the week to stand out from competitors. Usually Wing Wednesday’s also come with a drink special, but if you’re trying to get your drink on during the rest of the week, head downtown after class for Happy Hour. 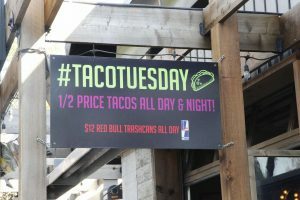 Typically, happy hour in Calgary runs between 3 p.m. and 6 p.m., but you can likely find a couple a little later and earlier. Check out National for 25 cents per ounce, or around $5 a pint. If you’re feeling more fancy, drink $6 happy hour bellinis at the Cactus Club. If you’re not looking for food and drink, you can also find some cheap or free activities around Calgary. You’re already paying enough to get educated, but that doesn’t mean your thirst for knowledge and culture are quenched. Here’s where Glenbow Museum comes into play. Even though Glenbow’s student pricing is only $11, it’s 11 dollars that can pay for a few coffees to keep you awake in class. If you don’t want to pay the price to visit, you can check out their Free First Thursday admission, where anybody can go for free on the first Thursday of every month. It’s fun to check out their exhibits by yourself, with friends, or even go for a cheap date. Calgary has over 8,000 hectares of parkland and 800 km of pathways, so if you don’t feel like heading into the mountains for a hike, you can always take a leisurely stroll along any number of these paths. Yeah, Calgary has a significantly shorter summer than some of us might like, but it’s all the more reason to get outside while the temperature is above freezing. You can find a decent park close to your quadrant of the city, including Nose Hill Park, Fish Creek Park, Edworthy Park, and a number of others. These huge parks include rivers, trees covering your view of the city to feel engulfed in nature, and lots of dog sightings. Some of the parks even have off-leash areas for you to let your dog loose. Not every bar and club in Calgary charges a hefty cover for entry on a busy weekend. You can definitely find places in the city to get in for free, and be able to spend less. Although this definitely depends on the day, places like National, Twisted Element, and on occasion, Cowboys, forgo a cover charge. If you’re looking to go out and party on a budget, you can also get a MRU Ski Club membership which guarantees you a lot of discounts on cover charges and other places in the city. They cost $10, which is essentially the price of entry to a club one time.